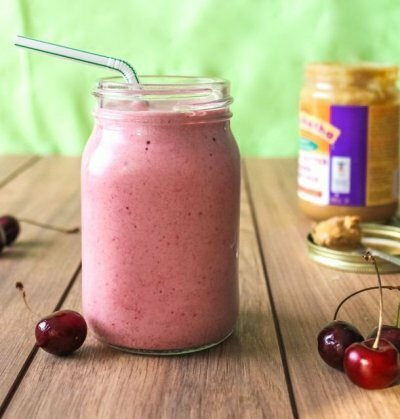 Creamy vegan smoothie bursting with fresh cherries, super foods, and protein. 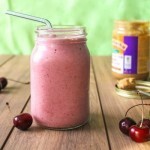 Place all ingredients in a blender except for the ice and guar gum. Blend until almost smooth. Add ice and guar gum, and continue blending. Pour into glasses and enjoy!